Feds investigate 2.7 million vehicles after nine crashes and 111 complaints of hard brake pedals. November 23, 2018 — A General Motors brake vacuum pump investigation has been opened into more than 2.7 million vehicles after the government received 111 complaints about hard brake pedals in Cadillac, Chevrolet and GMC models. The National Highway Traffic Safety Administration (NHTSA) says in addition to hard brake pedals, drivers report longer stopping distances occur because of problems with the brake assist vacuum pumps. The vacuum pumps are driven by belts on the engines and used as sources of power brake vacuum in the GM vehicles. But customers claim the vacuum pumps lose their capacity to generate vacuum, something that has allegedly caused nine vehicles to collide with fixed objects or other vehicles. General Motors is aware of the complaints considering the automaker has previously been served papers about two proposed class-action lawsuits filed over hard brake pedals and vacuum pump problems. 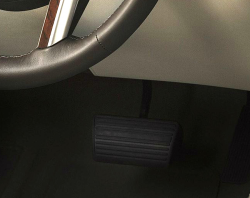 According to one lawsuit, the hard brake pedals are caused by brake booster problems, while the other lawsuit alleges failures of the brake vacuum pumps. The government investigation will seek to determine if more than 2.7 million GM vehicles should be recalled. CarComplaints.com will update our website with results of NHTSA's investigation.